Presentation Night Friday 12th. Oct. ; The club will host a special presentation night for the successful JB Carr Team for bringing so much credit to Templemore Golf Club in their progression to capturing 3rd. nation place in such a large field of players. Also, a presentation will be made to life serving members in acknowledgement of their life long service to the club. The event will be in Tom Maher’s Pub at 9pm. There will be music, food and novelty events of entertainment. An occasion not be missed. All are welcome both Ladies and Gents. Vice-Captain Competition: Saturday 13th. and Sunday 14th. October is the Vice-Captain Tony O’Toole, 18 hole Stableford Competition. Club Captain Tommy Foley is encouraging all members to take part in this great club event as an acknowledgement of support to the new incoming Captain Tony O’Toole. The end of the year is fast approaching so all remaining competitions fully supported will be great to put a positive finish on a great year of golf in Templemore Golf Club. The McHugh Cups Draw; The list of players selected for to compete in the” McHugh Cups” is now posted on the notice board in the Locker Room. The format will be “Mixed Foursomes Stableford” The Entry Fee will be 20Euro per pair. This competition must be completed by November 1st. The pairing are as follows; Sarah Hearne & Denis Tuohy; Mary Hogan & Ciaran Hassett; Josie Bourke & Pat Maher; Mary Ryan & Gerry Keegan; Margi Costigan & Ambrose Purcell; Kay Brennan & Jerome Ryan; Sadie Tynann & Hugh Scott; Bernie Stapleton & Denis Maher; Mary A Maher & Paul Tuohy; Joan Shortt & Bernie O’ Rourke; L Ryan & Liam Leahy; Sheila Delaney & Lorcan Reilly; Mary Hayes & Anon; Ann Kenny & Francis McCormack; Ann O’Rourke & Bernard Barry; All pairings are requested to contact and arrange mutual times so that the competition finished before 1st. Nov. Also, one can arrange to play with another pairing or play with a marker. Any further information contact Competition Secretary Liam Leahy 087-4115773. Sunday time sheet; Use the time sheet to link up with other players to insure you get a game in on the weekend.. Sat. 29nd./ Sun. 30rd. 18hole G.O.Y. Stroke Play winners ; 1st. Paddy Bourke. 2nd. Brendan Russell. 3rd. Declan Russell. All members are requested to make a great effort to participate in this week-end Vice Captain competition. Golf Ireland; “A Single Governing Body for Golf In Ireland” This is a unique opportunity to create an inclusive governing body for Golf in Ireland. The creation of “Golf Ireland” will help drive the development of the game and ensure that a healthy and successful future lies ahead for Golf and in particular, among younger Golfers . Explanatory Booklets are still available while stocks last, in the Club Locker Room. It is advised that all members keep themselves informed on this development. Away Scoring Recording; The “Away Score Recording Sheet” for “Qualifying”, “Non-Qualifying”, “Society”, “Fourball” and “Team Events” is now places on the notice Board in the locker room. While all away scores must be listed, Score Cards should also be returned where available. This is required by the competition secretary John Greed in creating accurate handicap records. For further information contact John @ 087-0516941. Juvenile Golf; Every week It’s fantastic to see so many Juveniles showing an interest in the game of Golf and practicing daily on the course their pitching and putting and drive. If any information is required by parents or others contact the Club Juvenile Officer Pat O Connell, 087 9205821. Ladies Golf; Centenary Co.Op. Competition; Tuesday 25th. and Saturday 29th. 18H S/F. The winners were; 1st. Margie Costigan. 2nd. Mary Hayes. Adopt a Bunker Project; All fringes of bunkers have been groomed and a noticeable amount of players have signed up to commit to adopting a Bunkers which is helping to keep the course in great shape. Put your stamp on any bunker you feel that you can commit to looking after which will result in the presentation of the course to a high standard. The “Adopt a Bunker” form is on the notice board in the Locker room. 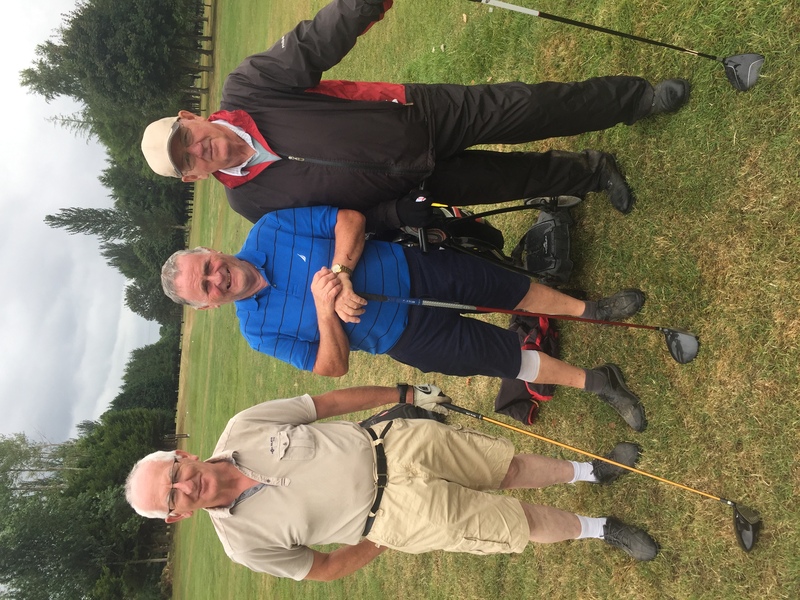 The Seniors; It a great opportunity for retired golfers to return to the game with like-minded golfers or If you are over 55, from any distance or other Clubs you will be more than welcome. The results are as follows for Thursday, 4th. Oct.; 1st. Team; Tony O’Toole, Sean Lee, Pat Costello, Michael Maher. 2nd. Team; Ton Kenny, PJ Leahy, Paddy Nolan, Seanie Gleeson. 3rd. Team; Mick Murphy, Michael Webster, Joe Hennessy. Away Seniors in Roscrea Thursday 11th. The Seniors away trip to Roscrea Golf Course will take place on Thursday 11th. October. Tee Box time 10.30 am. The Price is 25euro, Including a Meal. This is a great value and anyone who wants to avail of this great day of golf should contact Seanie Gleeson, 086 1672510. Enrolling New Members both Lady and Gents for 2019; New members will now be accepted for 2019. Early Bird applications will have the advantage of completing this year golf season. All current members are encouraged to introduce at least “ONE NEW MEMBER” Lady or Gent, Junior or Student, Seniors Juveniles and Family, Active Retiree’s or any person interested in taking up the sport. It will be a huge advantage to building the club membership and profile. Registrations Forms for new members are now available on-line on our web site, or at the club house or contact Martin Bohan 087 0509278 or any of the committee members. All will be welcomed. Green Fee; The Green Fee will continue@ €10 for 9hole or 18hole. This is a very competitive and affordable rate and guaranteed no time waiting for tee box, just call in and play your golf. Rules of Golf; The 2019 Players edition on the “Rules of Golf”, The initial supply of books are now gone, If you still require one contact Communication Secretary Martin Bohan, 087-0509278. Memorabilia of 50 Years of Golf in Templemore; Urgent call for memorabilia by PJ to all members past and present or anyone or families that were involved in golf to dig deep and search their achieves for any memorabilia that they can find. Old photos, sayings, and good banter from the past that can be resurrected to make this project successful All will be appreciated and returned as received after the process. 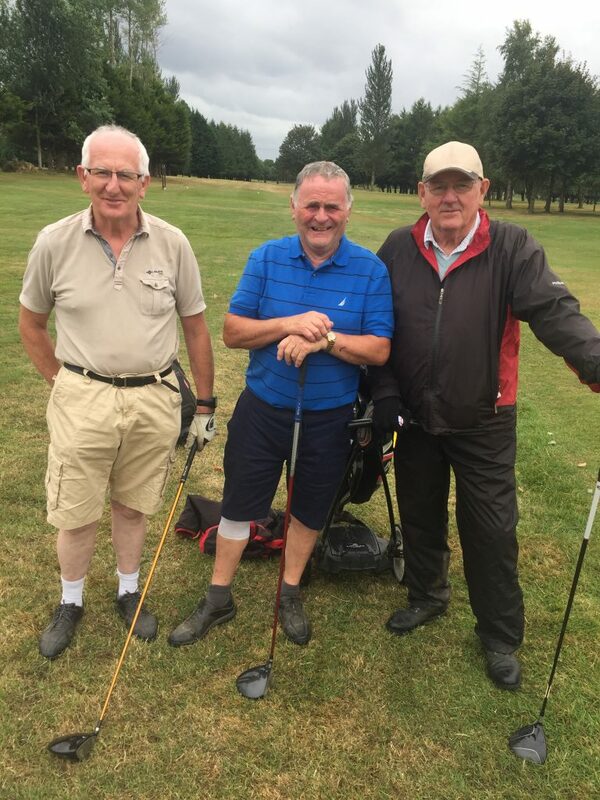 Playing Templemore 9 hole Golf Course Advantage; The advantage of playing Golf in Templemore 9hole Golf Course has its advantages; A magnificent Golf Course to test your golf skills as it tested the best of Tipperary and Munster prestigious clubs in the JB Carr tournament. Templemore Golf Course is available to all golfers, especially to those that want to return to the game also to members and non-members and members from other clubs to get in your practice rounds, beginners, Active Retiree’s and families who want to take up the sport will get assistance from any committee member, (refer to web site for committee member list) here are some positive reasons for golfing in Templemore Golf Course; Golf can be good for your health and your heart. Walking an average course for a round of 18 holes of golf can be between five to seven kilometres. If you walk 18 holes three to five times a week, you’ll get an optimal amount of endurance exercise for your heart. If you pull your clubs or carry them, you’ll burn even more calories each round and benefit even more. Playing golf regularly can help you: Stay fit, improve your muscle tone and Endurance, Lose weight and body fat. Golf can also be a great way to keep in touch with friends, help in reducing stress as a result of the physical activity and also due to the pleasure of walking in an open and natural environment, provide opportunities to meet new people, help develop a sense of community connectedness. Golf can be a very social and enjoyable sport. While you compete against others, you can also compete with yourself to better your previous best score. Templemore Golf Course provides Good Social occasions, Presentation Nights, Social Mixed, Senior Events and Away Trips. The Handicap System allows members of different abilities an equal chance of winning. Various Category of Memberships are available at different rates. (Membership option rates are on our web site). Full Annual Membership €350 = Approximately, only 95c. per day. New members are the lifeline of the club, so all existing members are encouraged to tell all your friends to take up membership and test their skills on this challenging Golf course. Registrations Forms for new members are now available on-line on our web site, or at the club house or contact Martin Bohan 087 0509278 or any of the committee members. All are welcome. The McHugh Cup. Must be completed by Nov.1st. 27th. Oct. White Dowling Society 18H S/F. New Golf Rules; Measuring in taking relief: The golfer’s relief area will be measured by using the longest club in his/her bag (other than a putter) to measure one club-length or two club-lengths, depending on the situation, providing a consistent process for golfers to establish his/her relief area. (Key change: the proposed Rules released in 2017 suggested a 20-inch or 80-inch standard measurement).